Bonjour, Cet article peut vous intéresser : https://www.fondation-raja-marcovici.com/en/projet/women-and-shells.html. 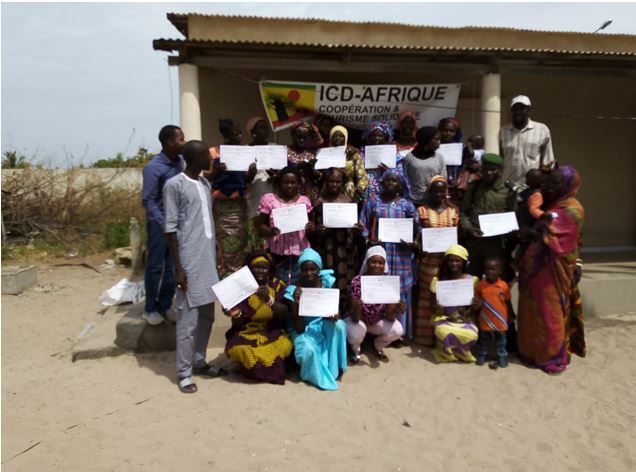 In Senegal, shellfish harvesting – collection, processing, marketing – is the main activity of the coastal villages of the Saloum Delta, carried out mainly by the women who derive from it a small income that does not support themselves and their families. This work, carried out under tiring and dangerous conditions, contributes to the depletion of natural shellfish resources and the weakening of the mangrove. In this context, the Institut de Coopération pour le Développement en Afrique, in partnership with the association Nébeday, is supporting 9 women’s groups to develop the shellfish industry: increase shellfish collection through new equipment, rehabilitate 3 processing units equipped with drying, conditioning and storage, creating a cooperative and sales kiosks to better market the products. In this way, the project will promote women’s economic empowerment and the preservation of mangrove, reinforced by workshops to raise awareness of the management of natural resources in the community as a whole.